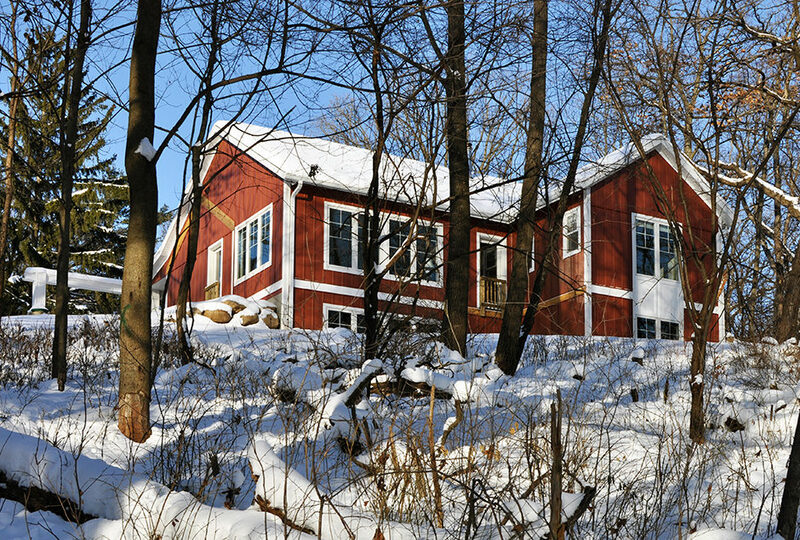 This house is situated at the edge of a bluff overlooking Rice Lake in Edgerton, WI. 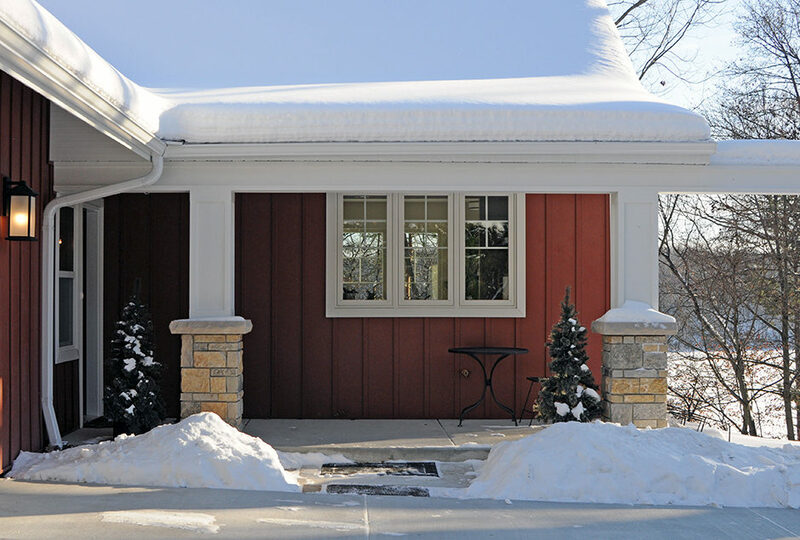 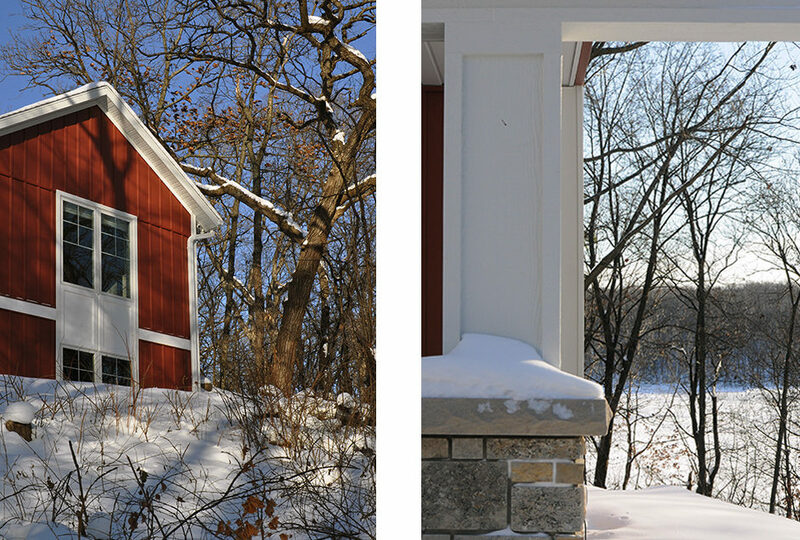 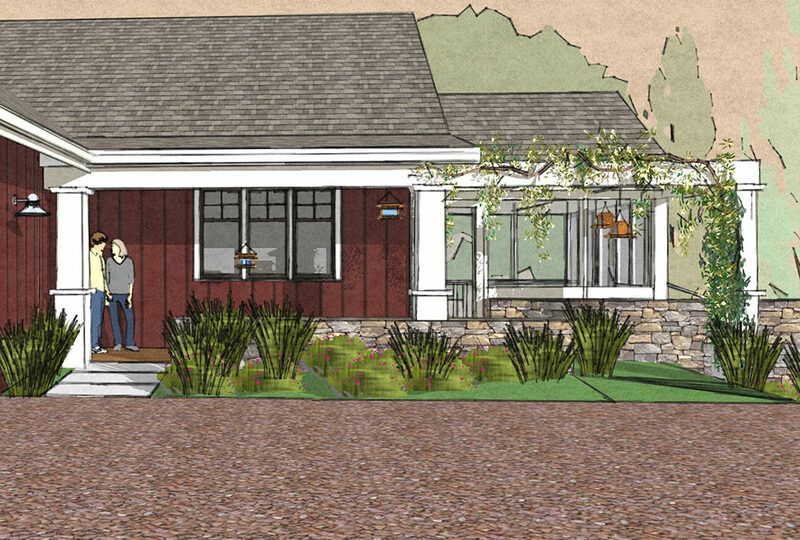 The homeowners asked for a small “cute” bungalow style home that references Swedish farm architecture. 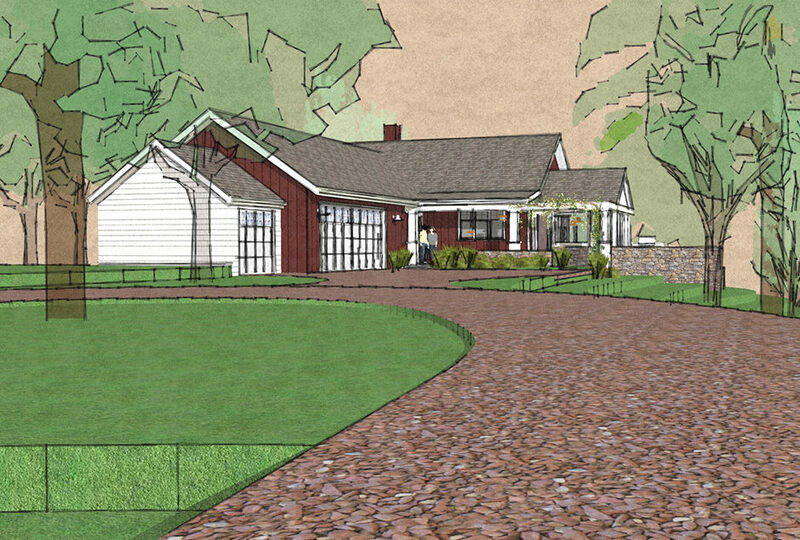 The floor plan was carefully designed with the homeowners to allow for their version of dream retirement living. 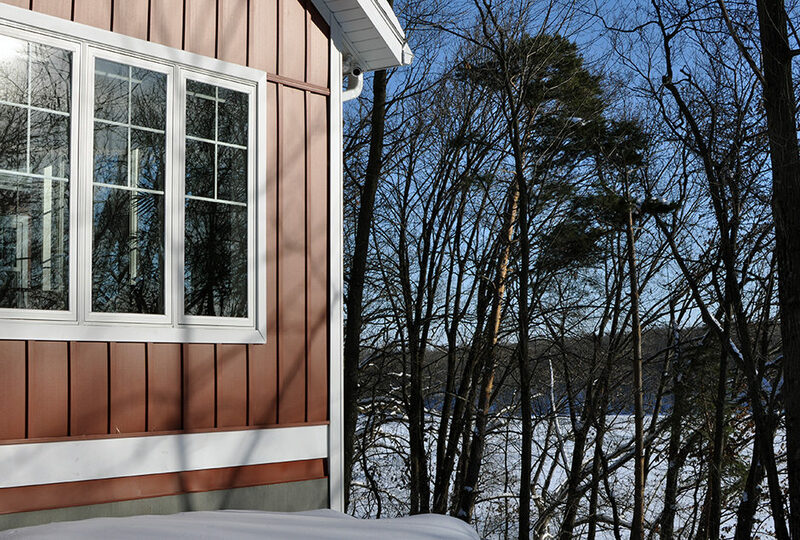 The main living spaces enjoy expansive eastern views to the lake. 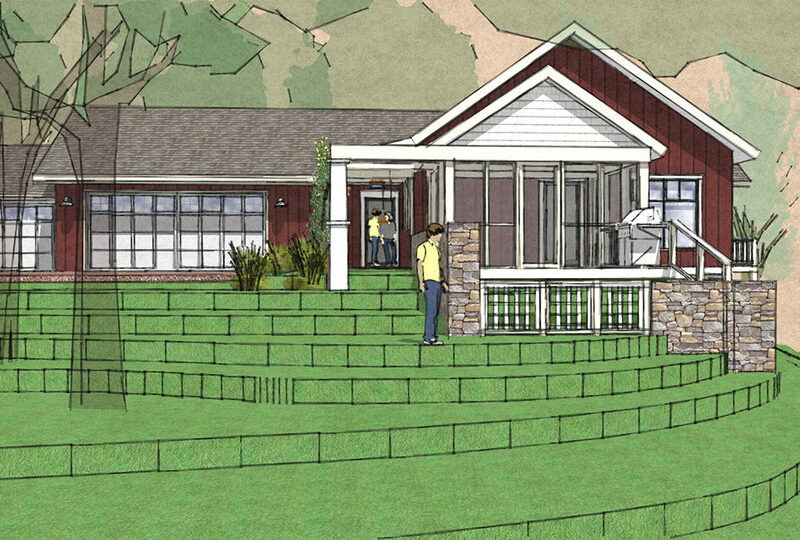 A generous screen porch on the south facade will be constructed this coming spring to provide sunny exterior living. 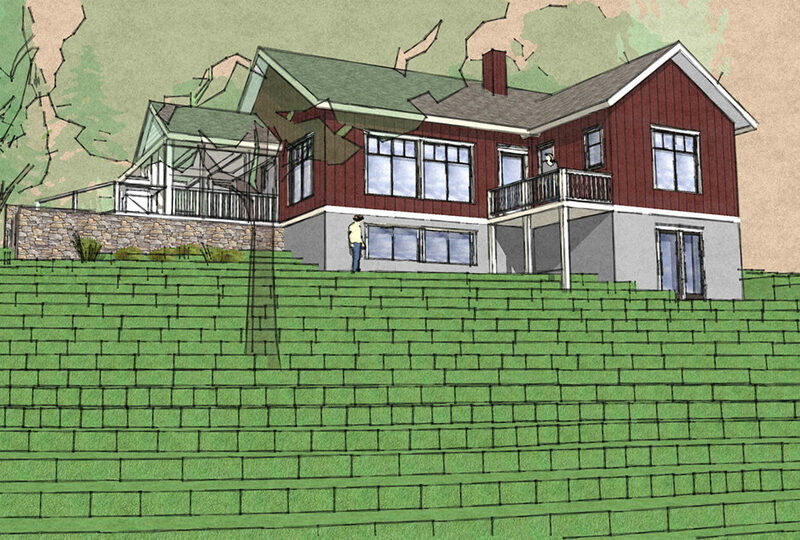 While designed to satisfy a modest budget, the house includes energy-efficiency details to provide year round comfortable living in the woods.